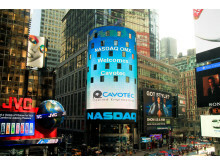 The Cavotec SA ("Cavotec", the "Company" or the ”Group") Board of Directors is pleased to announce the move of the Company’s share listing to the NASDAQ OMX in Stockholm. 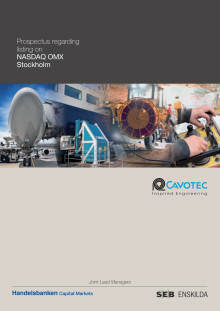 Trading in the Cavotec share on the NASDAQ OMX Stockholm will start on October 19, 2011. Cavotec is a global engineering group, supplying innovative and environmentally friendly systems to the ports and maritime, airports, mining and tunnelling and general industry sectors. In recent years, Cavotec has made significant investments in innovative products and a global network of companies. The Group has a well-established worldwide infrastructure present in more than 27 countries and substantial exposure to growth sectors and regions. 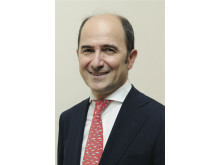 In 2010, Cavotec’s revenue from sales of goods amounted to EUR 145 million with an operating margin of 8.5 per cent. During the first six months of 2011, the Group’s revenue from sales of goods increased by 33.5 per cent compared to the same period the previous year, and operating margin, adjusted for non-recurring costs related the move from New Zealand and to the listing, amounted to 7.5 per cent. 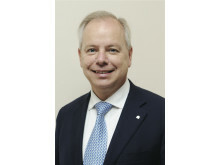 The Group’s interim report, published in August 2011, was strong and indicated that Cavotec is on track to report an increase of revenues in 2011, in line with the Group’s financial target. Cavotec is a global engineering group, supplying innovative and environmentally friendly systems to the ports and maritime, airports, mining and tunnelling and general industry sectors. Cavotec has an ambitious plan regarding both organic and acquisition driven growth. So far during its history the Cavotec Group has acquired 18 companies. Cavotec foresees a continued strong growth in its product and system solution sales and has identified a number of potentially interesting and strategic acquisition targets. As an international group with value-adding acquisitions as an integral part of its growth strategy it is vital for Cavotec to have access to capital. The Cavotec Group has been listed on the New Zealand Exchange (“NZX”) since January 2007 when Cavotec Group Holdings NV and Mooring Systems Limited, which was listed on the NZX, merged their business interests through a reverse acquisition in a share for share transaction creating Cavotec MSL Holdings Ltd (“Cavotec MSL”). Liquidity on the NZX has been low in recent years and overall trading volumes have fallen which has underlined the necessity of seeking alternative listings of the Cavotec share. Furthermore, the NZX is remotely located from Cavotec’s main markets and it is associated with additional costs to have the parent company’s domicile in New Zealand, far away from Cavotec’s main business operations. Cavotec considers a listing on the NASDAQ OMX Stockholm as an important step to provide additional ways of maximizing shareholder value. In evaluating alternative listings to NZX it has been deemed important to consider Cavotec’s geographical footprint where the majority of sales are in Europe and where the importance of Asia and the Americas is increasing. Further, Cavotec is of the opinion that by choosing Stockholm as the listing location, the transparency of the Company’s business will increase since many similar companies are listed in Stockholm as well as some important customers of Cavotec. The Board of Directors also believes that the NASDAQ OMX Stockholm has a strong investor base that can support capital raisings for value-accretive acquisitions and that a listing on the NASDAQ OMX Stockholm in itself will make the Cavotec share an attractive consideration in future acquisitions, which was demonstrated through the recent acquisition of INET1. Finally, it can also be said that Cavotec in many ways has a Swedish origin since a large part of the shares are held by Swedes and the Group was started from a Swedish base and thereafter expanded internationally. The listing on the NASDAQ OMX Stockholm is taking place after the delisting from NZX. Therefore, at the Annual General Meeting of shareholders held on 28 April 2011, the shareholders of Cavotec MSL voted in favour of a plan to, through a so called Scheme of Arrangement2, move the domicile of Cavotec to Switzerland, closer to the main markets of the Cavotec Group, with a new parent company, Cavotec SA. The Board of Directors of Cavotec SA has subsequent to the AGM decision applied for and received approval for listing of Cavotec SA’s shares on the NASDAQ OMX Stockholm. 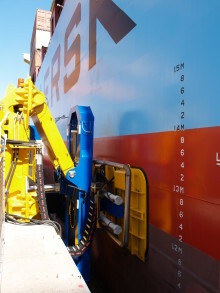  Ports & Maritime manufactures innovative power and control systems, including MoorMasterTM automated mooring units, Alternative Maritime Power (AMP) systems, motorised cable reels and marine slipring systems. 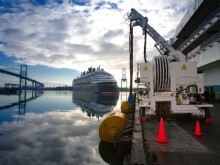 These technologies enable the ports and maritime industry to operate safely, sustainably and more productively. Customers are primarily global OEMs and major port authorities, shipping companies and general contractors.  Airports develops advanced ground support equipment (GSE), including fuel, water and power supply pit systems, PCAir systems, tunnel systems, aircraft connectors and caddies that help airlines and airports to reduce tarmac congestion, improve efficiency and reduce environmental impact. Customers are primarily public and private airports and airport authorities, aircraft manufacturers and general contractors.  Mining & Tunnelling specialises in cables, cable reels and power connectors, reducing customers’ reliance on diesel driven machinery and making the mining and tunneling industry more sustainable and more efficient. Customers are primarily global OEMs and mining companies.  General Industry provides a diverse range of products, including spring driven reels, slipring columns, power connectors, radio remote controls, cables, cable ladders and cable chains. The customer base is highly diversified with companies in various industries, including many international OEMs. 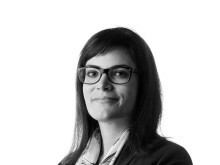 Handelsbanken Capital Markets and SEB Enskilda are Joint Lead Managers and financial advisors in connection with the listing. Advokatfirman Vinge and Bär & Karrer AG are legal advisors to the Company in connection with the listing. The listing prospectus is available on Cavotec’s website (www.cavotec.com), Handelsbanken's website (www.handelsbanken.se/investmentoffer) and SEB Enskilda’s website (www.seb.se/prospekt). This press release is issued in connection with the admission to trading on the NASDAQ OMX Stockholm and is not related to any offer for sale of securities and does not constitute an offer for sale of securities of Cavotec. This press release and any information to which it refers may not be released, published or distributed, directly or indirectly, in any jurisdiction in which the release, publication or distribution would be unlawful. Purchase of securities may be subject to specific legal or regulatory restrictions in certain jurisdictions. The Company assumes no responsibility in the event there is a violation by any person of such restrictions. This document does not constitute an offering circular or prospectus in connection with an offering of securities. This document does not constitute an offer to sell, or the solicitation of an offer to buy, any securities and cannot be relied on for any investment contract or decision. This document has not been approved by any regulatory authority. This document is a press release and not a prospectus or offering circular. 1 Cavotec acquired INET, a US business with domestic and international operations, sales and field support offices, on 16 August 2011. In 2010 the acquired operations had sales of approximately EUR 16 million. 2 In summary the Scheme of Arrangement entailed that the shareholders of Cavotec MSL received one share in Cavotec SA in exchange for every share held in Cavotec MSL. Not for release, publication or distribution, directly or indirectly, in any jurisdiction in which the release, publication or distribution would be unlawful.